Increase your flexibility and stay active longer! Maintain your independence and enjoy a healthy lifestyle. Get your copy of Easy Exercises for Flexibility today! Be Flexible as You Age! Your flexibility might not be the first thing that comes to mind when you think of being physically fit. However, your flexibility is a major factor in many aspects of your daily life. You may notice that it’s difficult to bend or twist, such as when you reach down to tie your shoes or turn your head in your car when backing up. Swinging a golf club or tennis racket may be harder to do than when you were younger. You may even develop muscle strains or joint sprains due to a lack of flexibility. Sound familiar? Don’t worry, you can do something to improve your flexibility! Introducing, Easy Exercises for Flexibility. This special report from the health experts at UCLA’s David Geffen School of Medicine will give you the tools to maintain and improve your flexibility. You can choose a program that fits your specific needs, and even design your own stretching workouts. Photo diagrams and instructions will help you properly perform the exercise programs and the comprehensive workbook will help you get organized, get going, and stay motivated. Let the experts at UCLA Health help you to stay fit and flexible, for a lifetime. 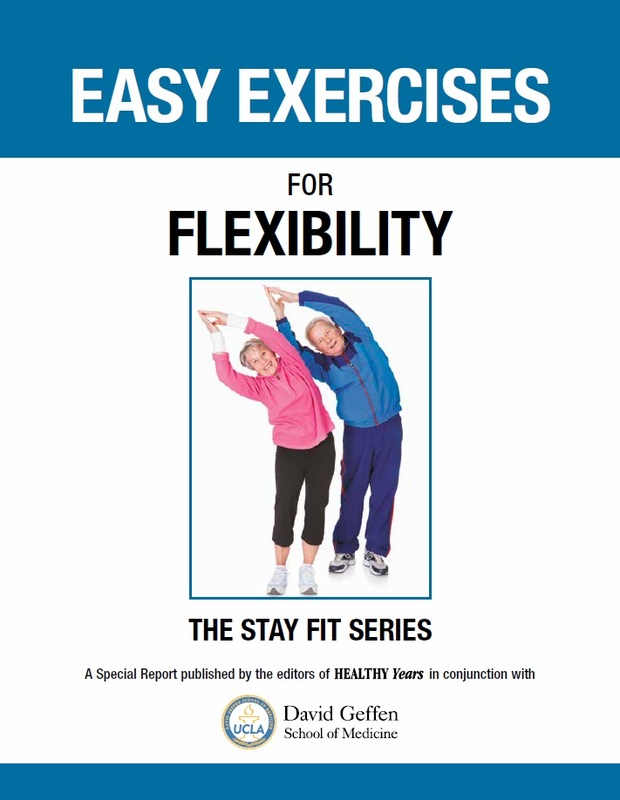 Order your copy of Easy Exercises for Flexibility today!